The Planks Happy Days has been designed with a classic fit and inspired by the classic pullovers of the 80's. 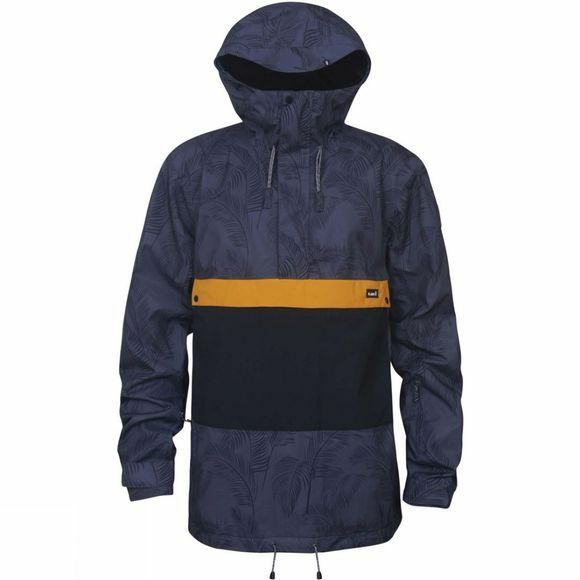 Built using our 2-layer RIDEdry15 fabric and combined with fully taped seams to keep you dry in any conditions. It has a lightweight taffeta lining and the under-arm vents provide extra breathability on the warmer days. The fully adjustable hood, hem and cuffs along with the Lycra wrist gaiters have all been designed to give you the perfect fit and keep the snow and wind from getting in. There is a large chest dump pocket with media pouch, two hand pockets and a forearm lift pass pocket. Pair it with a set of cargo pants and let the Good Times roll.